La Paz from the red cable cars. Bolivia is one the poorest countries in South America, making it the poorest South American country I had visited so far. 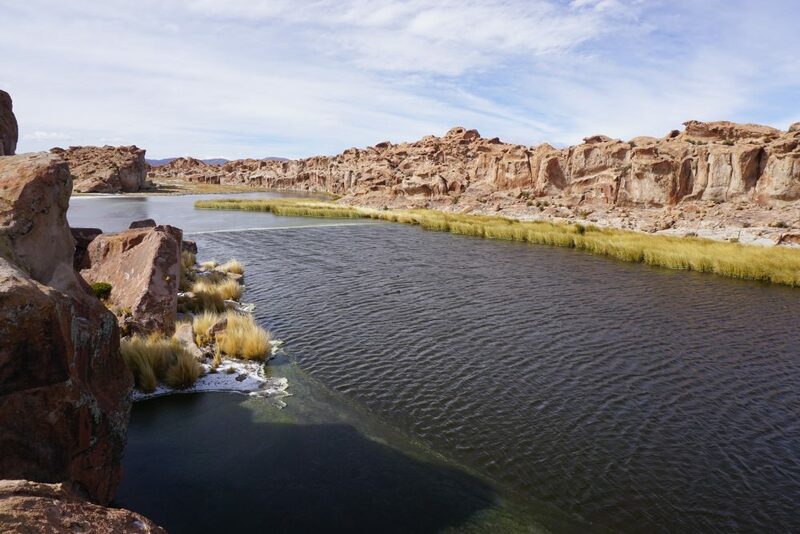 I certainly noticed it, especially on arriving into the sprawling edges of El/Alto and La Paz. Apparently 60% of Bolivians are considered to live in poverty, but the socialist government of Evo Morales seems to be trying to combat this. 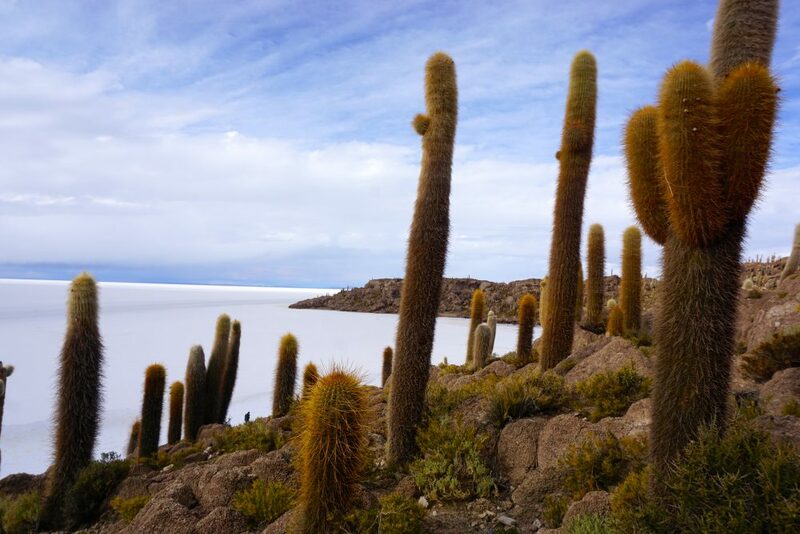 I found Bolivia quite a difficult and harsh country to visit, mainly due to the extremes in altitude and weather. 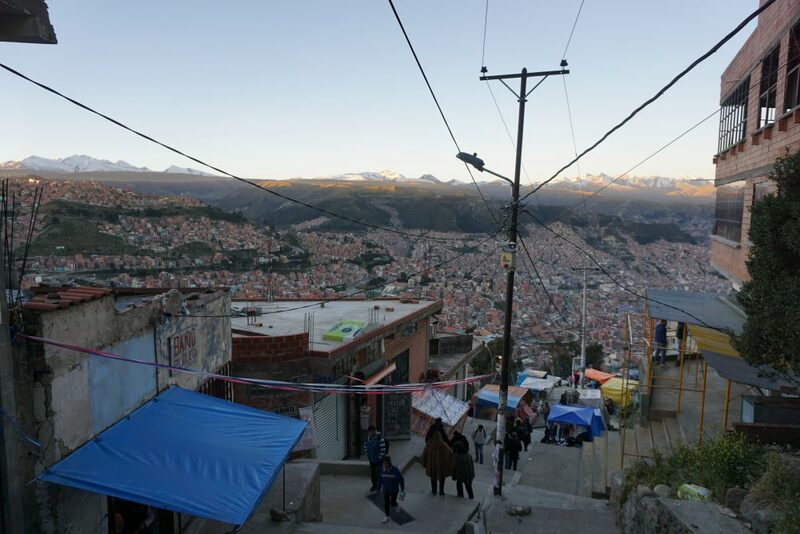 However La Paz is an amazing city, surrounded by mountains, the city is set down in a kind of bowl shaped valley. 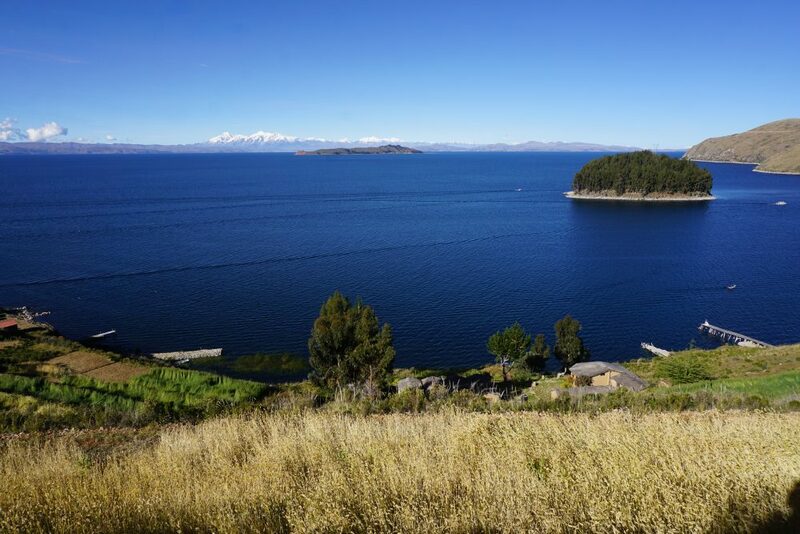 The elevation is around 3,650m above sea level making it one of the highest altitude cities in the world. It has the highest and longest cable car system in the world, which surrounds the city and is a great way to explore and get some good views. 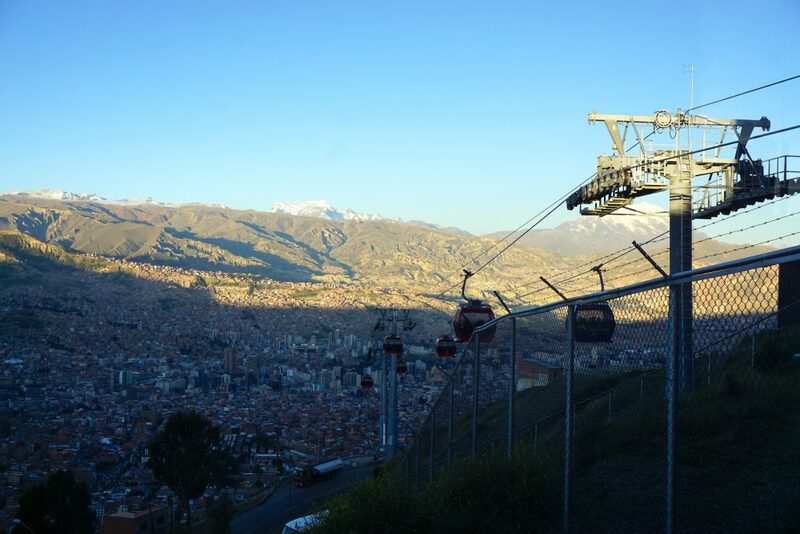 I ended up taking the red cable car up to El Alto which is 4,150m above sea level (the highest major metropolis in the world) it’s the second largest city in Bolivia. 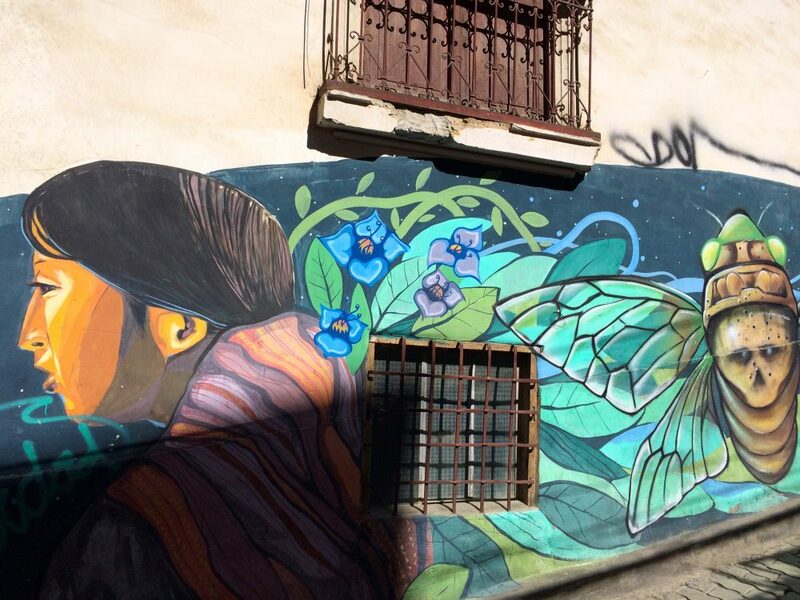 Walking tours in La Paz. I also did a really good walking tour in La Paz with Red Cap walking tours. These guys were really good and it only cost 20 Bolivianos (around £2.26) for the 3 hour tour. These guys started at the notorious San Pedro Prison, one of South America’s more famous of prisons. It’s La Paz’s largest prison and is unique in that it’s run by the prisoners. It became famous as tourists used to be able to take tours around and inside the prison not so long ago (it was even recommended in the Lonely Planet at one stage). The prison holds approximately 2,500 inmates, and inside the prisoners have jobs, have to buy/rent their own accommodation and even have their families living inside with them (including their children). 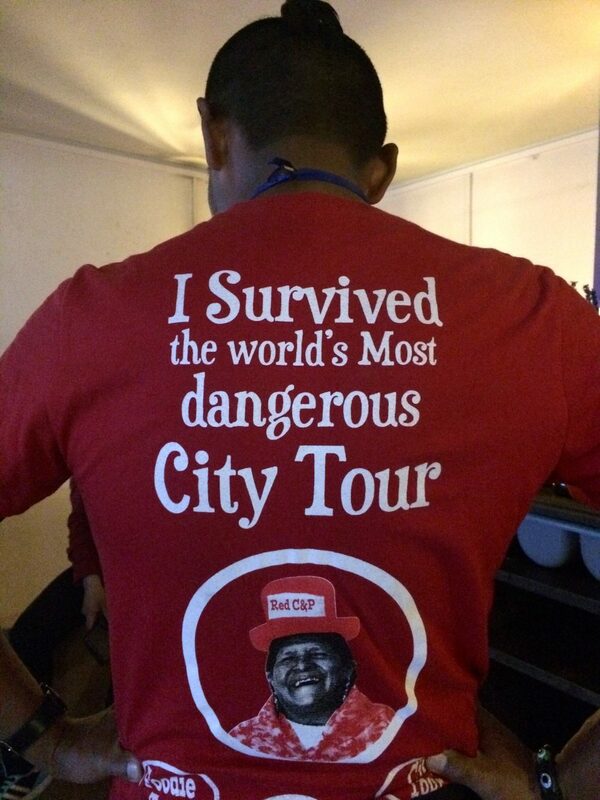 It was also notorious for its production of some of apparently the ‘best’ cocaine in South America, you even apparently received a bag after finishing the tour. Some of the inmates live in extremely bad conditions while others have ‘luxury’ cells with TVs and hot tubs. Of course there are strictly no tourists allowed inside now but our tour guides gave us a fasinately insight into this prison. There is a great book you can read called Marching Power about a Brit who was put in this prison for drug smuggling and his story on the inside. The tour also took us round the famous Witches’ Market (or Mercado de las Brujas) and we ended in the Plaza Murillo where many of the political government buildings are. 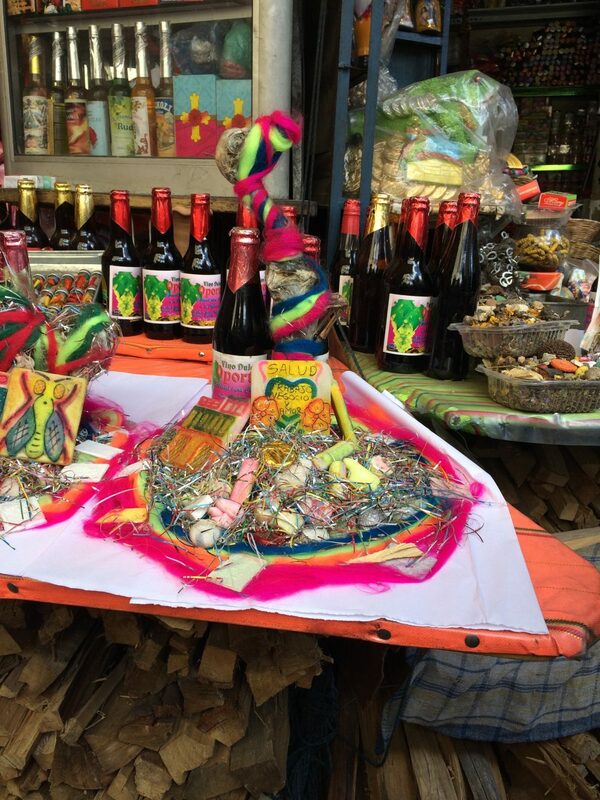 The Witches’ Market is a must for any visitor, whether you are suffering altitude sickness, looking for wealth or wanting to get some revenge on a cheating partner. The market still has the old traditions and witches apparently available to help! 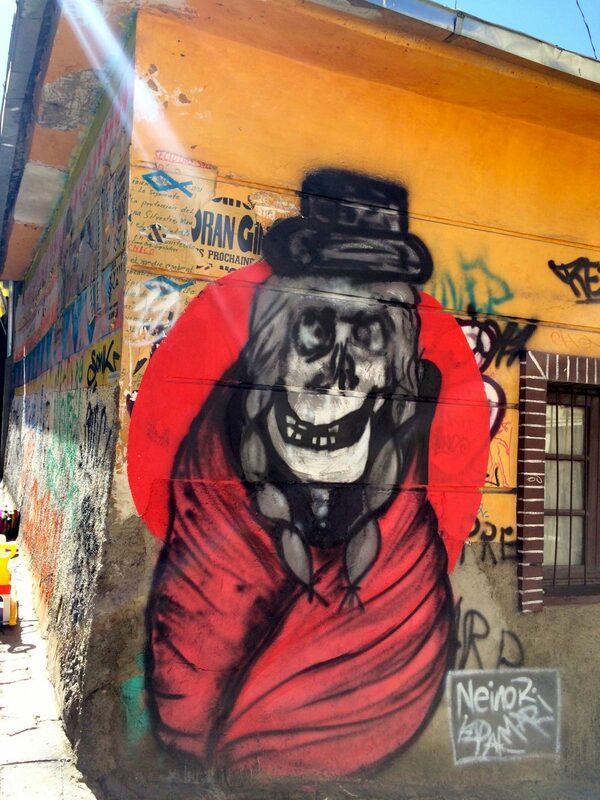 Street art in the Witches Market, La Paz. They also have some rather peculiar looking dried llama fetuses, which local Bolivian families use to make offering to Pachamama (a goddess of the indigenous people of the Andes). They are usually brought and buried under the foundations of their new homes for protections, health, happiness and good luck. I also visited the Museo de la Coca which gives a fascinating insight into the coca and cocaine industry in Bolivia and South America. Baby llama fetuses for sale in the Witches Market. 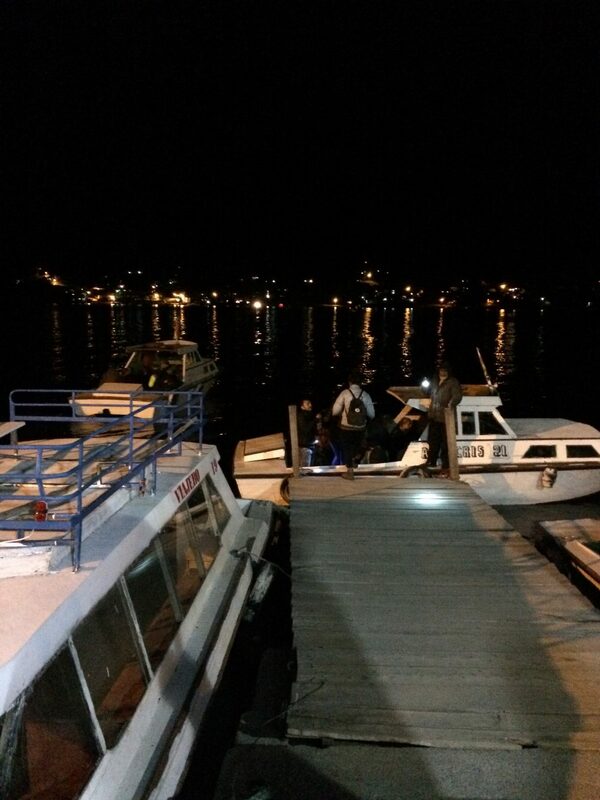 I spent 3 nights in La Paz and then got the night bus to Sucre which took around 12 hours. This bus journey was pretty awful, as it was freezing cold and there were no blankets on board (I know this sounds like a luxury but most buses in Chile and Peru had blankets). 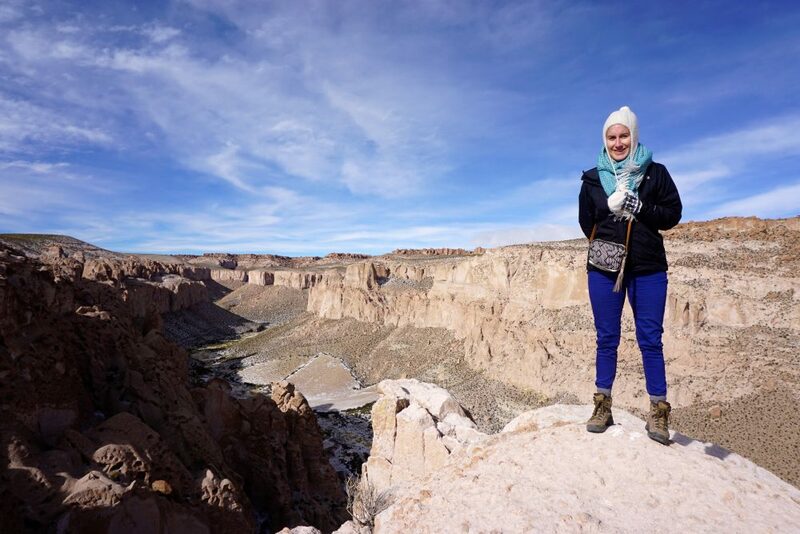 The temperatures at night in Bolivia were freezing, and luckily I met some lovely Bolivian girls who offered me a large scarf to use that night! The buses were not great in Boliva, especially as many of the drivers locked the toilets for the majority of the journeys and don’t do any toilet stops. 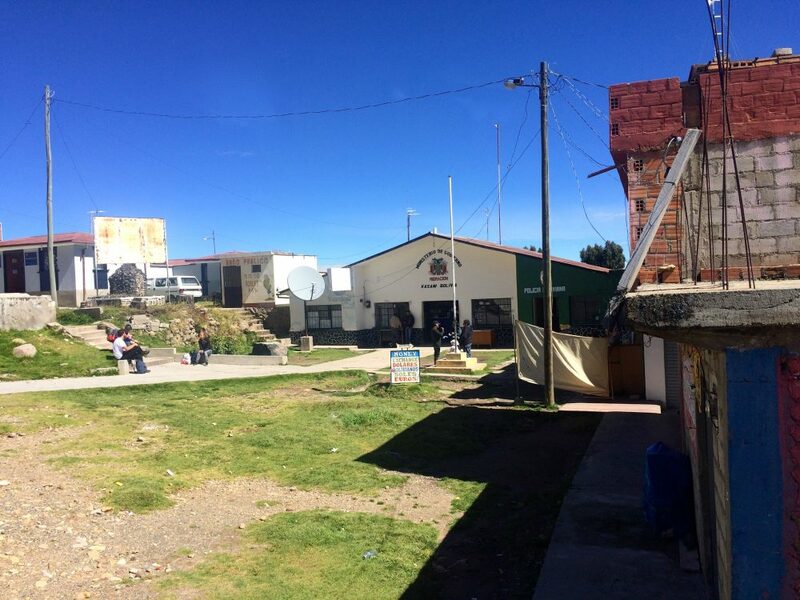 I arrived into Sucre at 6am and stayed in an amazing hostel called Casa Verde. I loved Sucre, it’s beautiful, quiet, pretty city, with a lovely climate making it warmer than other parts of Boliva. 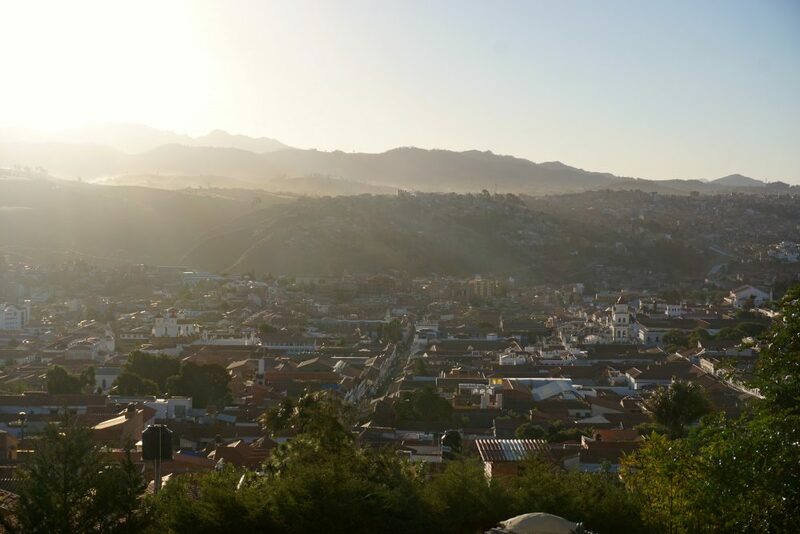 Views of Sucre at sunset, Boliva. 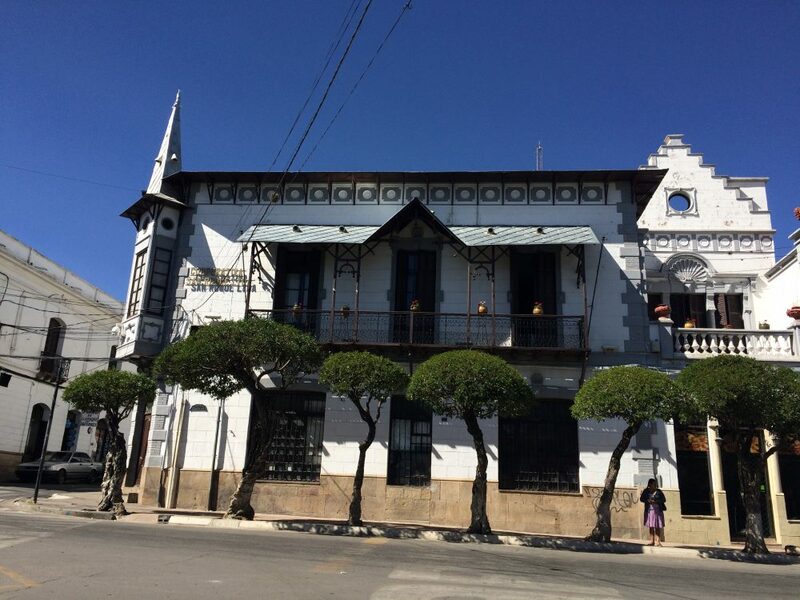 It has an interesting history as well and is closely linked to the mining of silver in nearby Potosí. Many of the wealthy who made their riches in the mines, retreated to Sucre making it a wealthy city which has continued to this day. Its become a place for political strife though in the last few years with the current government wanting to redistribute more of the wealth found in Sucre to the indigenous, rural people, which is causing a mix of resentment from the wealthier classes. 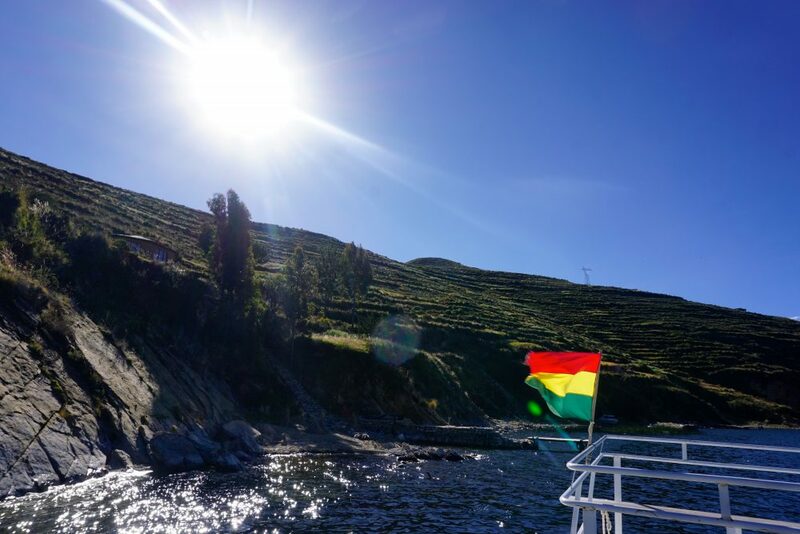 So my back problem which seemed to be getting better now got worse in Sucre, and I was hesitant about what to do next and where to go as I was feeling very tired and in pain. I ended up meeting two doctors in my hostel, who advised me to get some strong painkillers as they thought its sounded like a pulled muscle. So I managed to get something for the pain and it seemed to ease for the rest of my time in Boliva. However I ended up mainly resting in Sucre, exploring markets, meeting up with some lovely friends and generally hanging out in the main Plaza 25 de Mayo square with a beautiful cathedral and surrounding white washed buildings. Salt Flats, Salar de Uyuni, Bolivia. 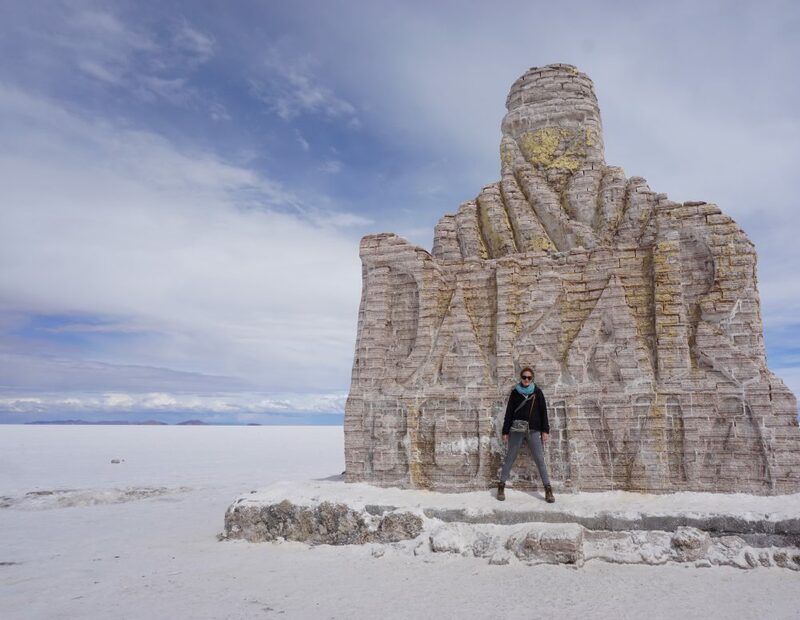 From Sucre I got a bus to Uyuni which is the starting point to visit the worlds largest salt flats, Salar de Uyuni at 10,582 square kilometers (4,086 sq miles). The salt flats are 3,656 metres above sea level and is one of the most unique places I have ever visited. 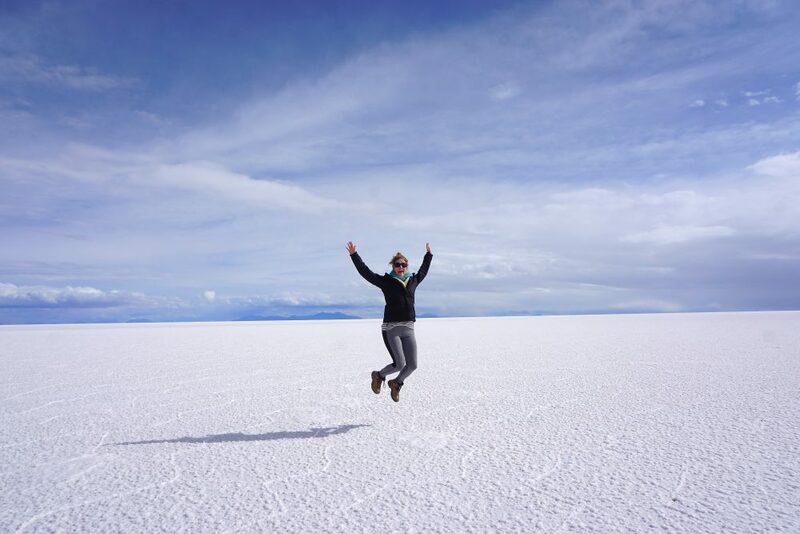 When I arrived in Uyuni, there was bad weather in the southern areas of Salar de Uyuni and bordering Chile, so I missed out on a few key places, but still managed to see the best of it! 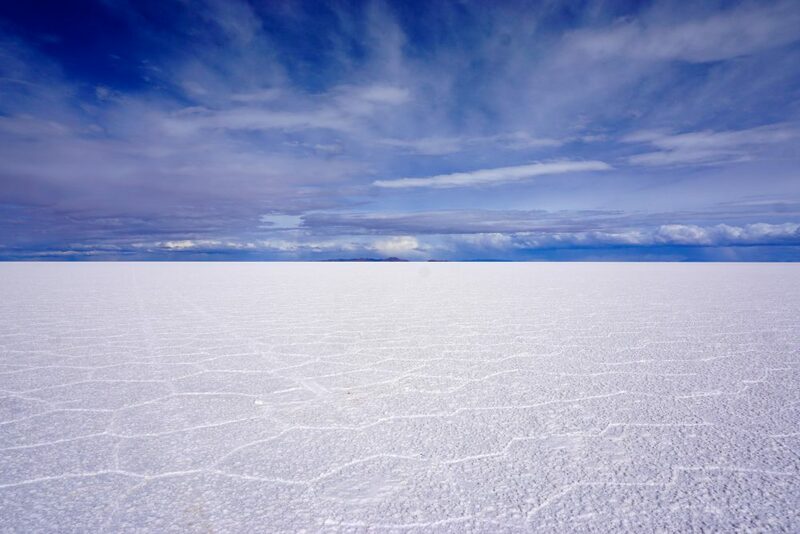 I decided to do a 3 day, 2 nights, Salt Flats tour with World White Travel, who to be honest I am not sure I would use again. However I actually end up being past onto another tour company as there were not enough people signed onto my tour so I suppose I can’t really say how good or bad they were. 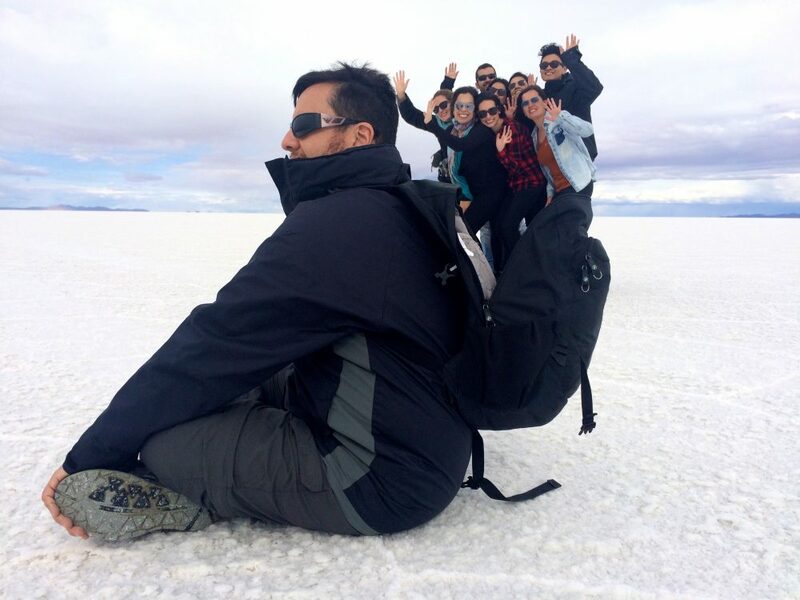 I paid $120 USD for this tour, but I could have probably got it cheaper, there are so many companies offering this tour in Uyuni, you really have to shop around and do lots of research. 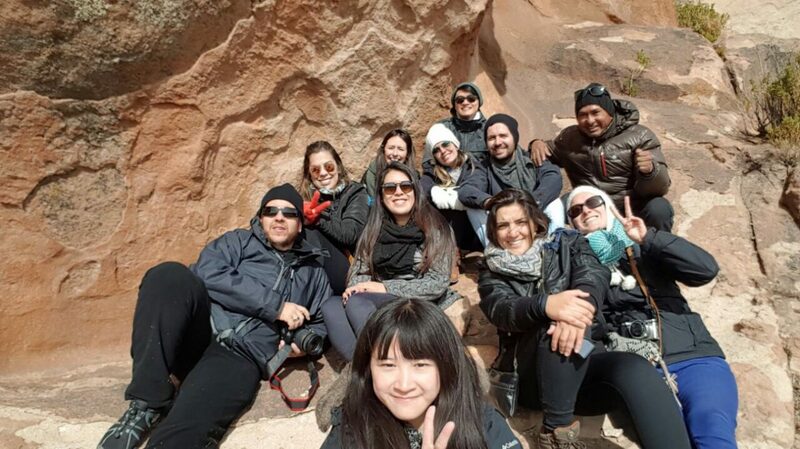 I had heard horror stories or travellers getting extreme altitude sickness on this trip and also of drunk drivers and accidents, so it’s worth reading reviews and listening to other travellers. I ended up with a group of 11 other travellers, we had two 4×4 cars between us, it was a nice group of people. Sadly the driver didn’t speak much english which made things a little hard, but some lovely Brazilians helped to translate for me. 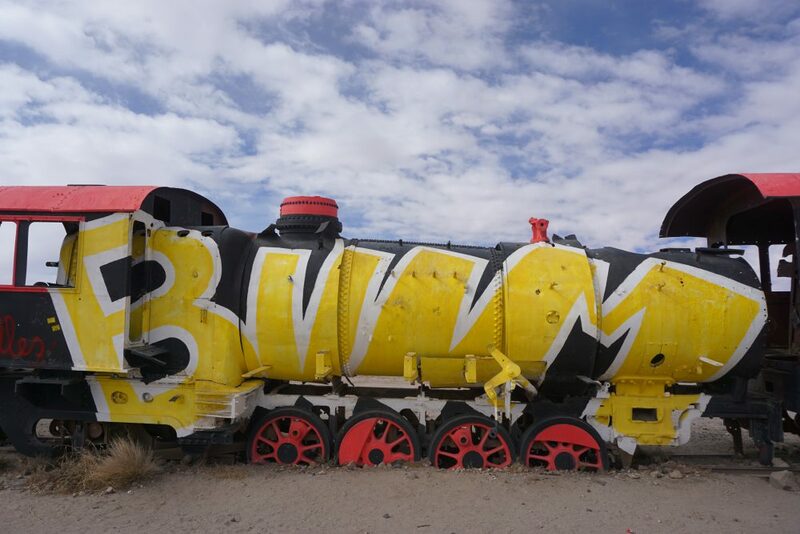 We started our first day driving to an abandoned graveyard of trains just outside of Uyuni, these train lines were built by the British as the Bolivian government thought it would be good for trade, but they are not in use anymore. Dakar monument, Salar de Uyuni. 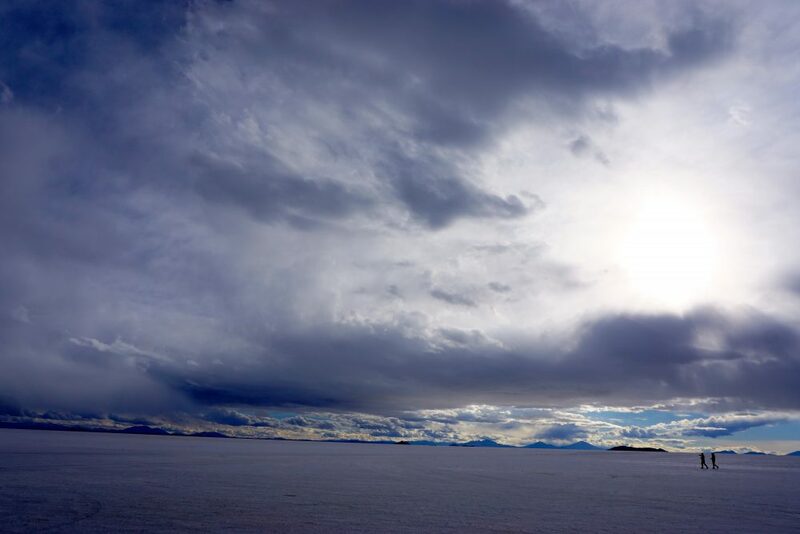 We stopped for lunch at a salt hotel and then drove onto the Salar de Uyuni salt flats which are amazing, the sheer immensity of the place takes your breath away. It felt like being in the middle of nowhere, we stopped for a couple of hours to take photos. Our drivers had some fairly cool camera techniques to get us some of those crazy ‘perspective’ photos. It was pretty chilly out on the salt flats, the weather is extreme out here and I was feeling the cold….I had most of my clothes on I think at this point! Almost all jumping at the same time! Me on the Salt Flats, Bolivia. Snow fall in Salar de Uyuni, Bolivia. The next day I was sadly feeling very feverish and flu like, so spent most the day in the 4×4 jeep with our lovely driver taking photos for me. 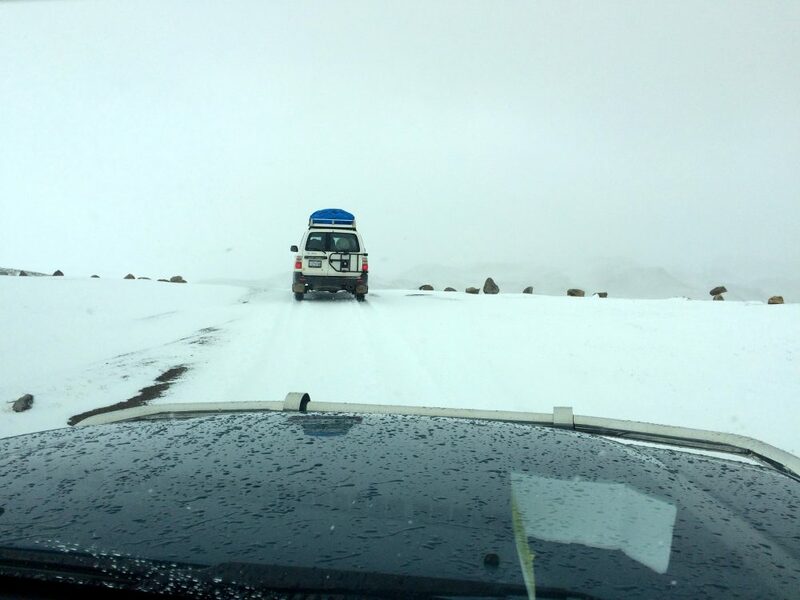 The second day, we drover right into a snow storm, as the tour company had said, the weather was very unpredictable here. We met other jeeps who were trying to cross over into Chile (which is usually what most people do as they get a tour from Chile across to the salt flats) but sadly it was mostly all snowed in. So we have to turn back and missed out on the Laguna Colorado and some other places. We did managed to see some very cold looking flamingos though! 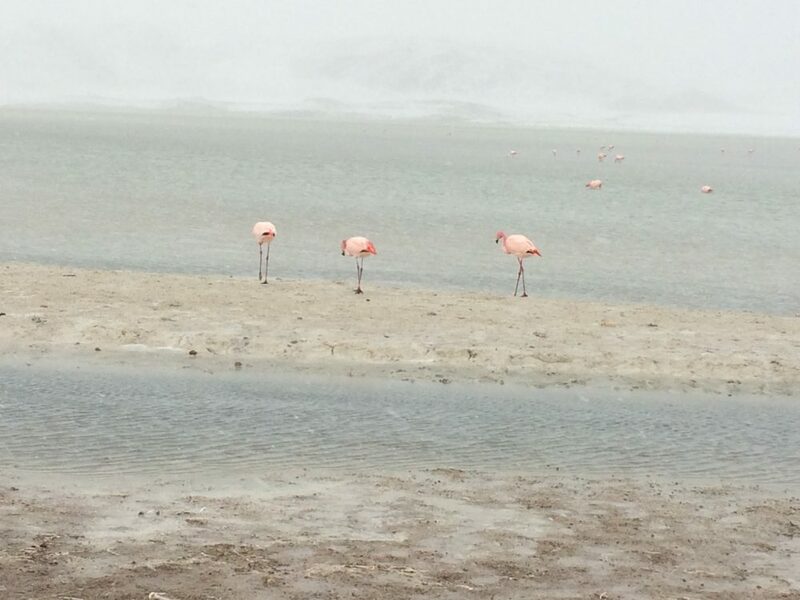 Flamingos on day two of the Salt Flats tour in Bolivia. The next days was luckily sunnier and we visited a huge canyon and saw some amazing frozen lakes. It was difficult as I was still feeling quite sick, so I can’t really remember exactly where we went, especially as the driver was speaking spanish. 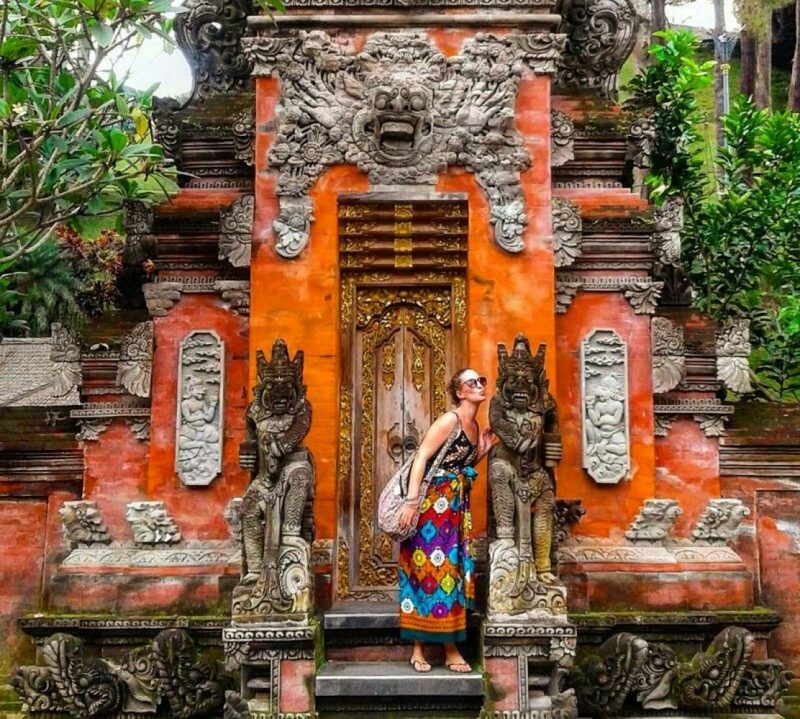 However it was spectacular the places we visited, this is truly a unique place of beauty and scenery. There were times when we were the only two 4×4’s driving around, so you also felt quite on your own at times (with your group of course!). I would love to be able to come back here one day, and to do the full three days tours with no snow storms….but hey you can’t do anything about the weather! Canyons on our third day of the tour. 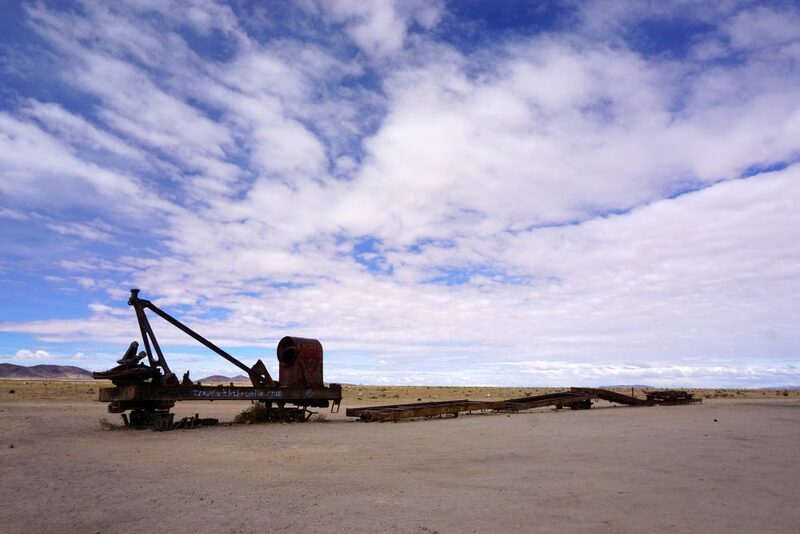 We drove back to Uyuni that afternoon and I took at night bus at 10pm back to Sucre and spent 3 nights here before flying to Buenos Aires in Argentina. 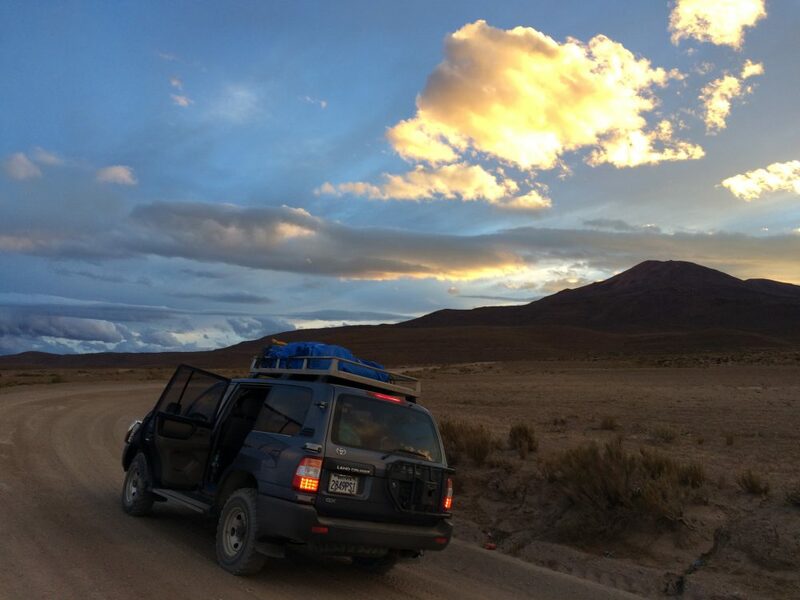 Sadly the saga of my back was not getting any better, so I was glad to be getting to Argentina where I knew there was going to be good hospitals and it was going to be a bit easier in terms of the altitude and the cold. 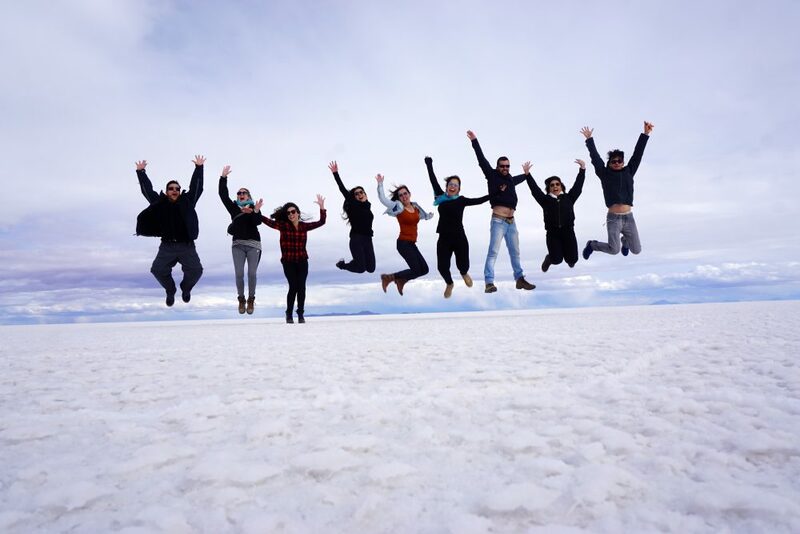 My 3 day Salt Flats tour group…cold but smiley!